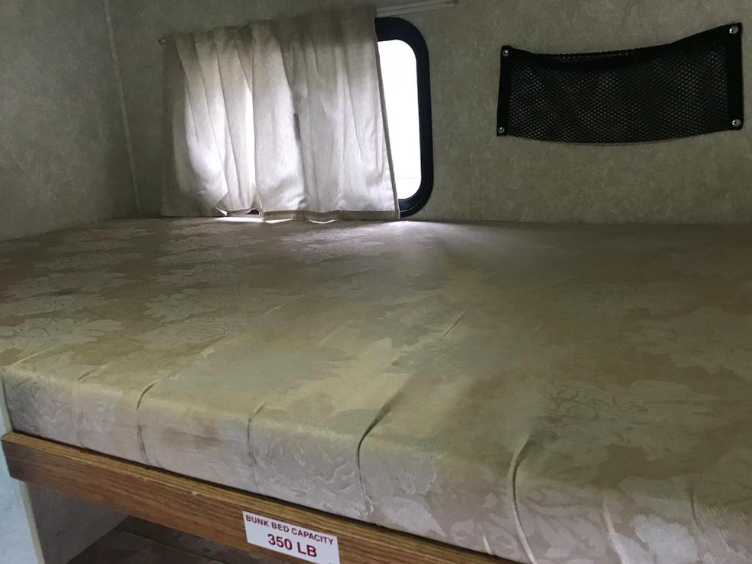 Nice fifth wheel with a queen bed and bunks. 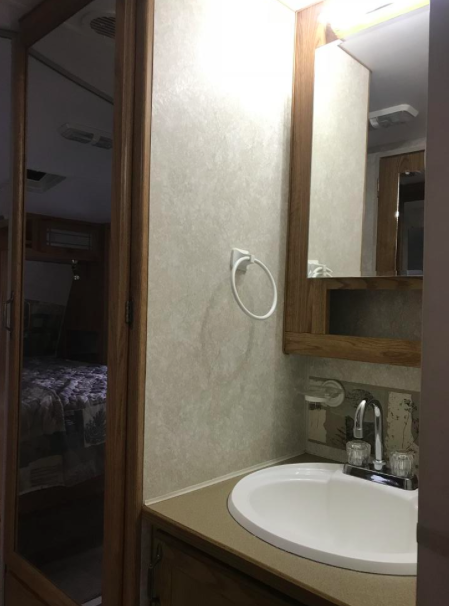 Lots of storage throughout, including bathroom storage and a pantry. 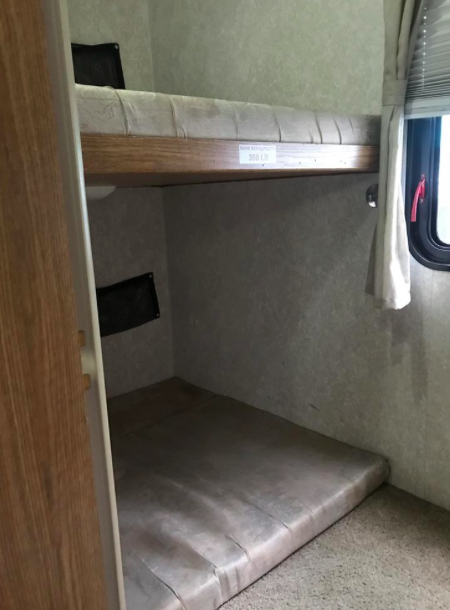 The bunk space can be used for storage (for cargo, bikes etc.) and is its own room. Comes with microwave, oven, sound system, stabilizing jacks etc.